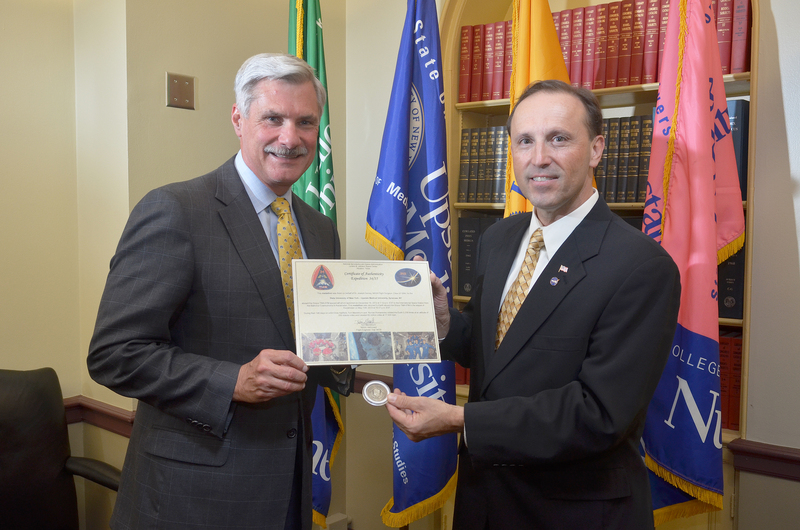 A medallion from Upstate is on board this Soyuz TMA-07M rocket with astronaut Thomas Marshburn, MD, which launched on Dec. 19, 2012 from the Baikonur Cosmodrome in Kazakhstan. A 1984 graduate of Upstate Medical University’s College of Medicine presented his alma mater today with an Upstate medallion that spent 146 days on the International Space Station. The medallion floats inside the International Space Station during its 146-day stay. He asked a friend, former NASA flight surgeon and current astronaut Tom Marshburn, MD, to carry something from Upstate into space. 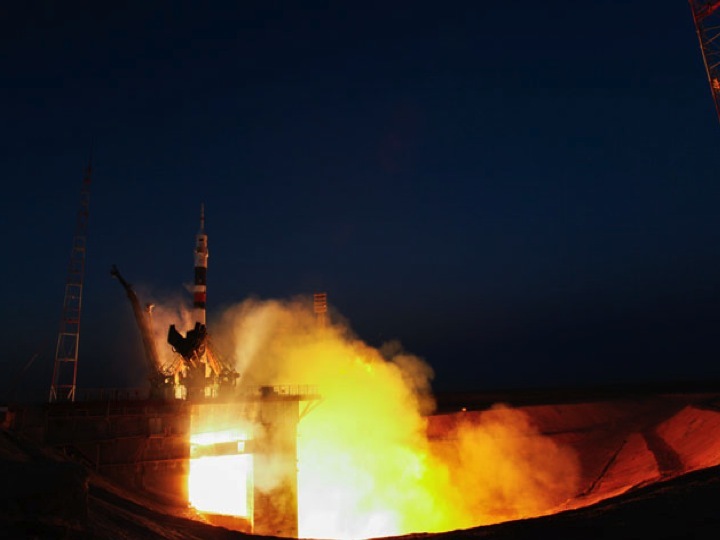 Then he set about to find an item meaningful and small enough to accompany Marshburn into the confined quarters of the Soyuz capsule and the space station. Dervay located a gold medallion bearing the Upstate insignia. It’s about the size of a half dollar coin. 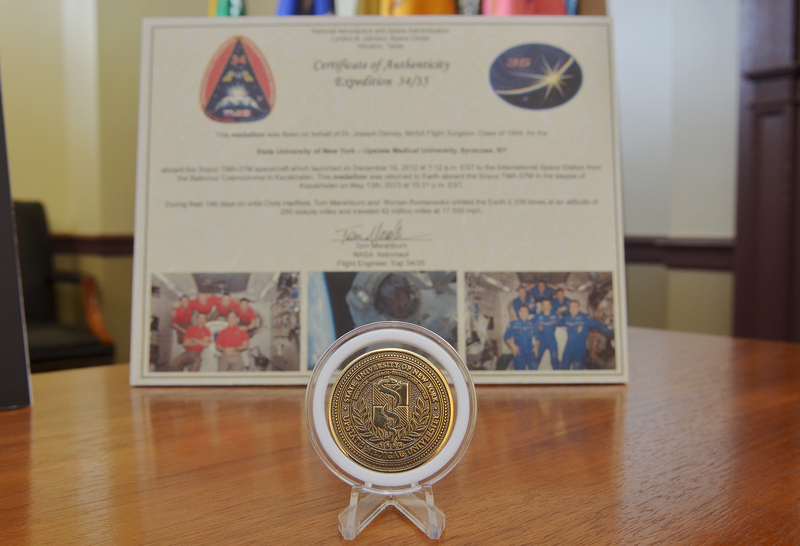 A certificate of authenticity, signed by Marshburn, verifies that the medallion was aboard the Soyuz spacecraft that launched at 7:12 a.m. EST Dec. 19, 2012 from the Baikonur Cosmodrome in Kazakhstan. 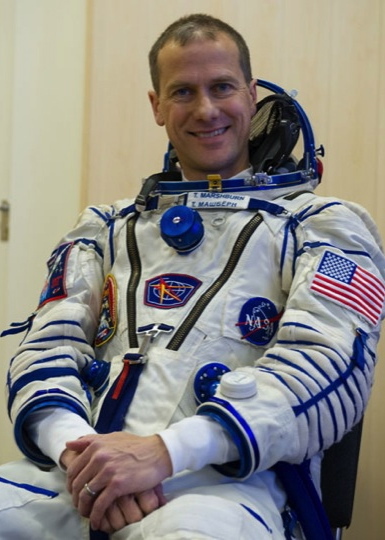 NASA astronaut Thomas, Marshburn, MD is a former flight surgeon and friend of Joseph Dervay, MD. Houston is where Dervay lives now, near NASA’s Johnson Space Center. During the mission, Marshburn and his crew members orbited earth 2,336 times at an altitude of 250 statute miles. They traveled 62 million miles at 17,500 mph and landed about five months later in the grasslands of Kazakhstan at 10:31 p.m. EST May 13. 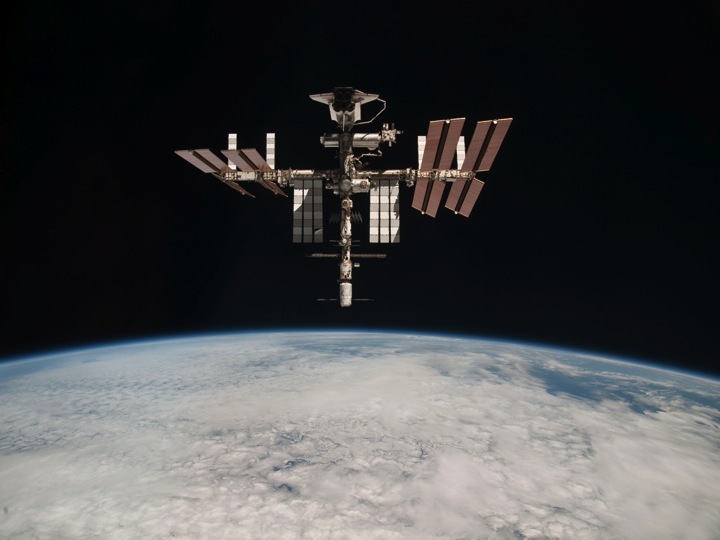 The International Space Station is about the size of a football field, says Dr. Joseph Dervay, MD, a NASA flight surgeon and graduate of Upstate Medical University. Sometime during the journey, Marshburn retrieved the medallion and released it to float inside the windowed module of the space station known as the cupola. 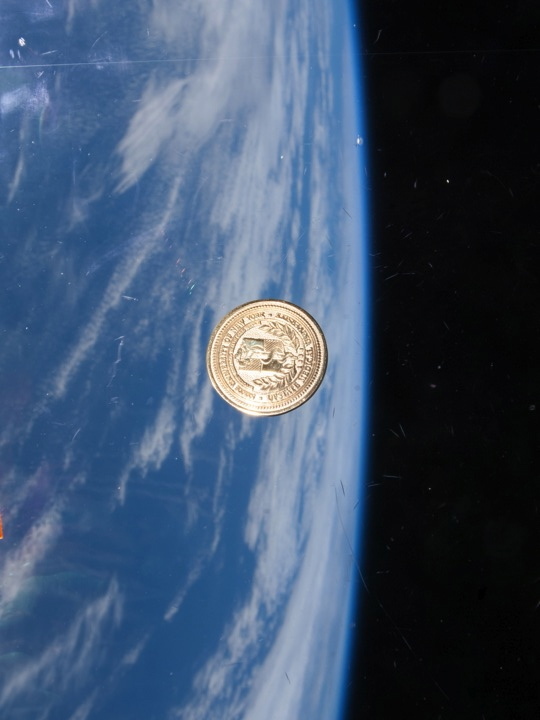 He snapped a photo of the medallion with the earth below. Dervay kept the medallion a surprise to Upstate until Friday. Distinguished alumni who are invited to speak during the reunion are asked to do so for five consecutive years, and this is Dervay’s last year. “It is my hope that the presence and image of our university’s image above the earth reflects the great heights of Upstate’s history, of our collective service to medicine and our fellow humankind, and the lineage for those past and future graduates of Upstate Medical University. “Hopefully it will also be inspirational for current students, so they will realize all things are possible, he says. Upstate President, Dr. David Smith, MD accepts the medallion and certificate from NASA flight surgeon Dr. Joseph Dervay, MD, a 1984 graduate of Upstate Medical Center. Photo by William Mueller. Dervay has been a flight surgeon the past 18 years. He completed undergraduate studies at Cornell University before coming to Upstate. He completed his general surgery internship at Bethesda Naval Medical Center. After training in Pensacola, Fla., Dervay served at the Naval Air Station Oceana, Virginia and aboard the aircraft carrier USS John F. Kennedy. He was named Atlantic Fleet “Flight Surgeon of the Year” in 1987. He has completed training and board certification in aerospace medicine, emergency medicine and undersea and hyperbaric medicine. At NASA, Dervay has served as lead or deputy crew surgeon for 11 Space Shuttle missions and three 6-month long International Space Station missions and has supported an additional 45 missions in the NASA Mission Control Center. He leads the Medical Operations Group at the Johnson Space Center and chairs the International Medical Working Group on Extravehicular Activity, known as spacewalks. The medallion that spent time in space, in front of the certificate of authenticity. Photo by William Mueller. This entry was posted in alumni, community, education, entertainment and tagged academic medical center, health care blog, health care social media, hospital blog, hospital social media, international space station, medical blog, NASA, SUNY, syracuse health care, syracuse hospital, university hospital, upstate medical, upstate university. Bookmark the permalink.